Office of the Director General of The Council for Renewable Natural Resources Research of Bhutan (CoRRB) announced the appointment of a new Director General. Dasho (Mr). Namgay Wangchuk has been appointed as a Director General CoRRB commencing from December 6, 2013. Prior to this, he served as Director General of Department of Disaster Management under the Ministry of Home and Cultural Affairs. He started his carrier in 1982 as Divisional Forest Officers in various Districts under the Department of Forests, Ministry of Agriculture and Forests. 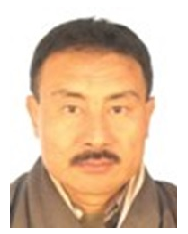 During his 32 years of dedicated service, he had also held many senior Government positions including District Administrators (Governor) in Trashigang and Paro Districts and Managing Director/CEO of Natural Resources Development Corporation Ltd. (NRDCL), a Government owned Corporation. APAARI wishes him success in his new assignment.